The use of geothermal energy for electricity generation and direct use applications is new technology to Australia and requires successful technical and commercial demonstration before gaining widespread acceptance. Nonetheless interest and activity in the geothermal sector continues to gather momentum. 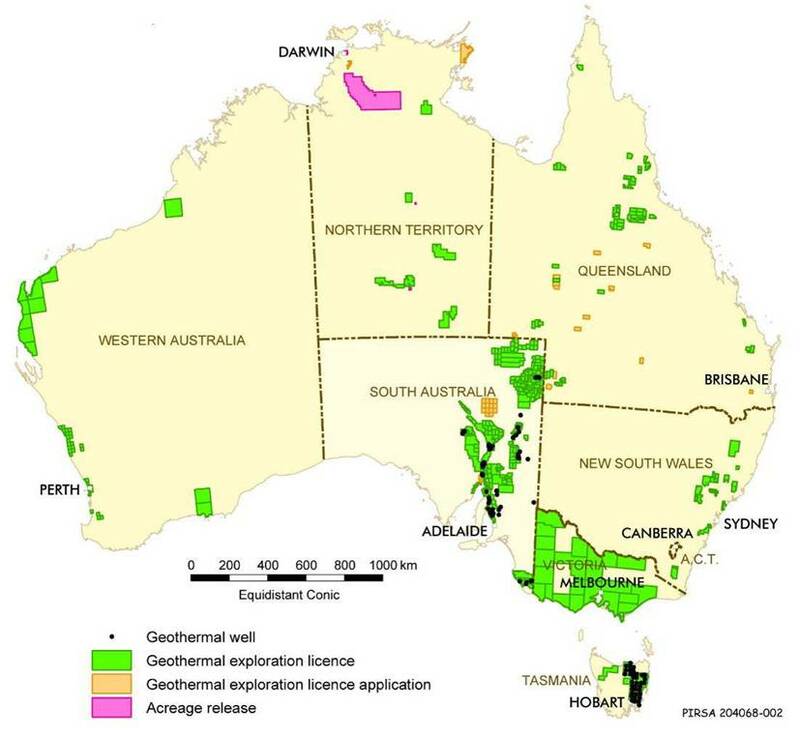 Nationally, to the end of 2010, 57 companies have applied for 414 licence areas (covering 472,000 km2) to progress proof-of-concept amagmatic Enhanced Geothermal Systems (EGS) and Hot Sedimentary Aquifer (HSA) projects (see Figure 8.1). From 2002 to 2010, more than AU$679 million (US$708 million) has been spent on studies, geophysical surveys, drilling, reservoir stimulation and flow tests which comprise the work programs required to sustain tenure in geothermal licence areas.